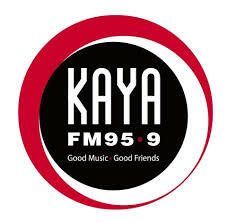 kaya fm Live Online from South Africa . It reflects the lives of the predominantly black, urban listener between the ages 25 - 49 living in Gauteng. The station broadcasts both music and talk . The music format offers a diverse and soulful mix of adult contemporary music to smoother sounds like R&B, World, Soul and Jazz. It broadcasts in English on the FM frequency signal 95 .9, 24 hours a day, seven days a week. Physical Address : Kaya House, 195 Jan Smuts Avenue , Parktown North, 2193 . Postal Address : PO Box 395, Parklands , 2112 .